The Manu Wildlife Center • Use the form below to contact us directly. Fill in the fields to check availability & reserve direct with The Manu Wildlife Center. 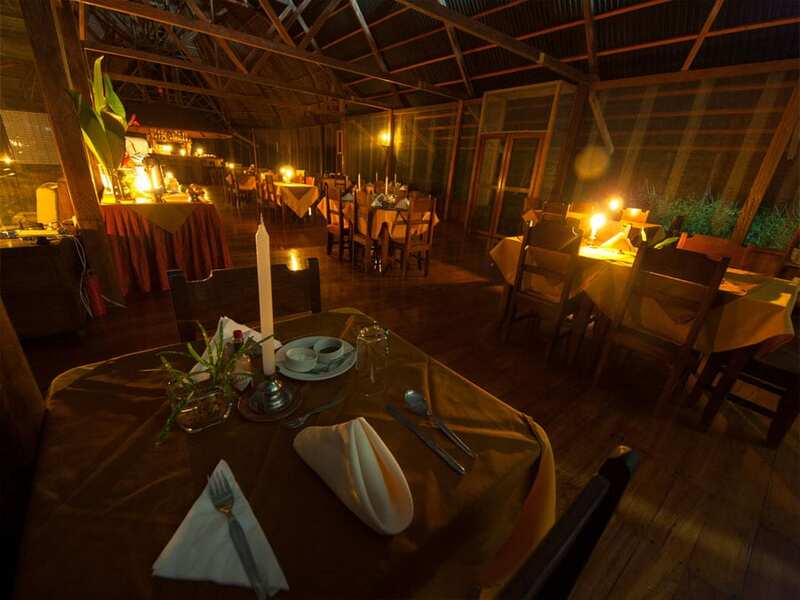 The Manu Wildlife Center is a world-renowned lodge among nature lovers for its incredible wildlife-watching opportunities. 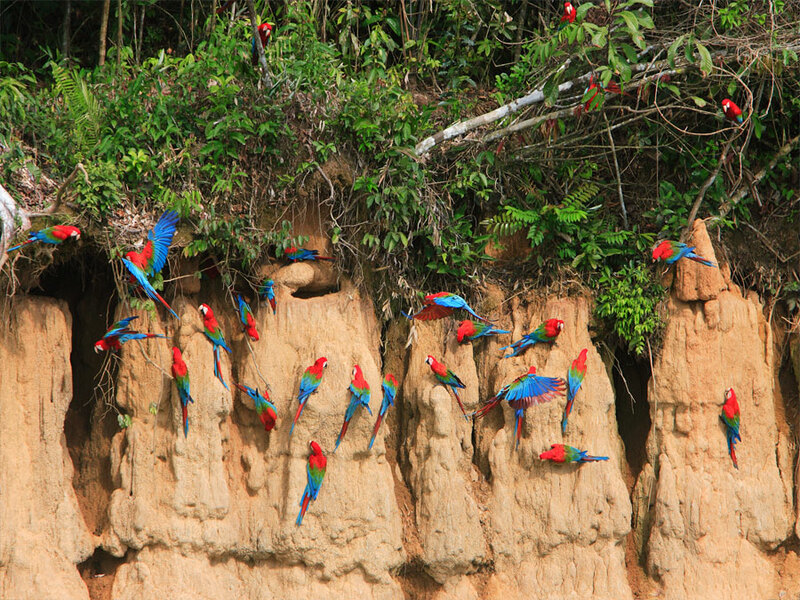 You will enjoy guided tours to one of the largest and most photogenic macaw clay licks in the Amazon Rainforest where you can see hundreds of these large, bright and colorful parrots. 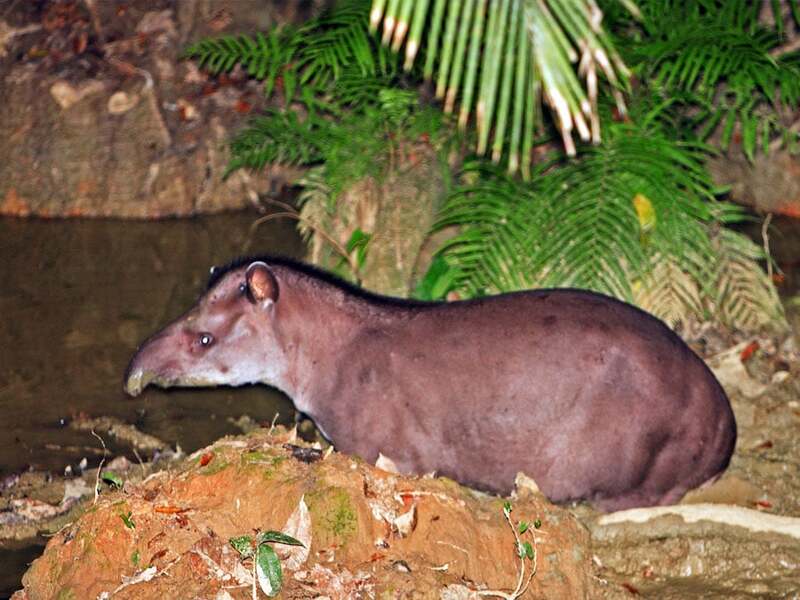 You will also visit a tapir clay lick to have a very high chance of spotting South America’s largest land mammal, tour beautiful Amazon lakes to see the resident giant river otters, enjoy miles of rainforest trails to spot several different monkeys and colorful birds, and have a 10% chance of spotting wild jaguar. 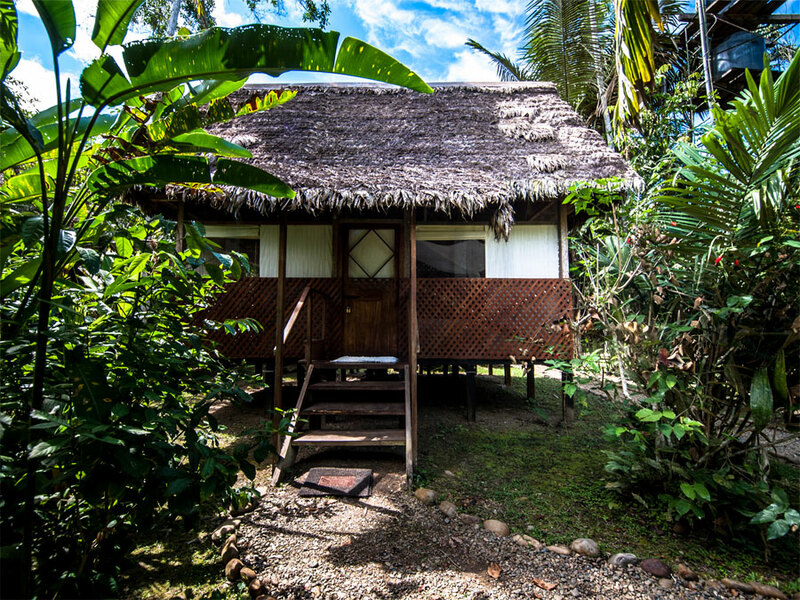 The Manu Wildlife Center is positioned in a section of continuous rainforest with the Manu National Park called the Amarakaeri Reserved Zone. 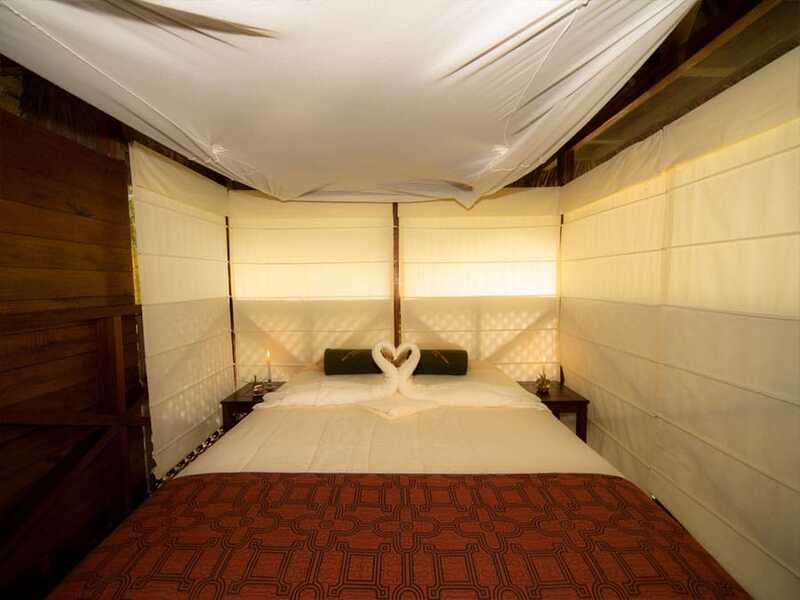 Visitors are prohibited within the national park itself, however, you can combine the Manu Wildlife Center with the Manu Tented Camp inside the Manu National Park Reserved Zone on the Manu Adventurer tour. You can observe both the macaw clay lick and tapir clay lick from specifically made hides to capture fantastic photographs of these Amazon icons without disturbing the wildlife. The lodge is recognized as one of the “most intensive wildlife experiences in the Amazon Rainforest” by Condé Nast Traveler because of the many Amazon icons to see. 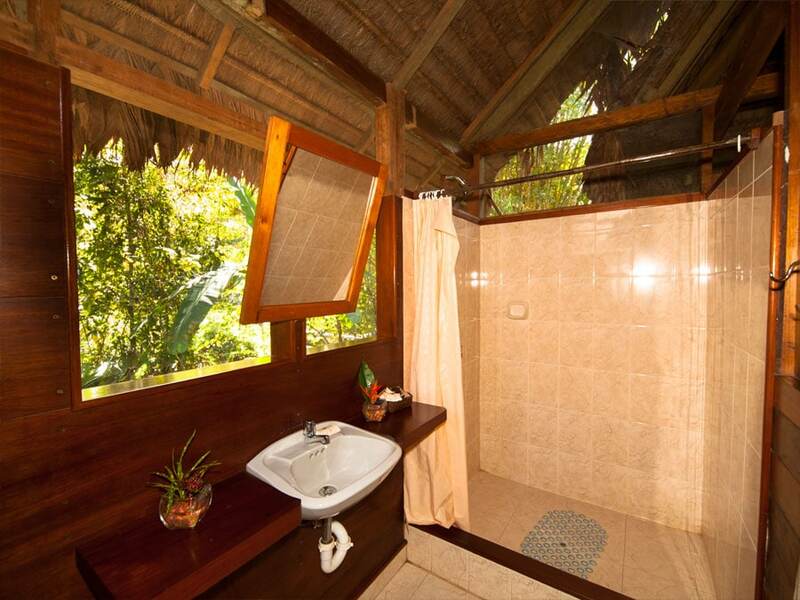 Puerto Maldonado is host to the most developed tourism industry in the Amazon Rainforest and there are numerous lodges and tours to choose from, many of which have eco-certification. Puerto Maldonado is a sleepy town and is very unique among Amazon Rainforest gateways as an incredibly biodiverse and large protected area is only 20 minutes from town, the Tambopata National Reserve. As well as Tambopata, Puerto Maldonado is also the base destination to experience Manu National Park, thought to be the most pristine and largest national park in the country. Because Puerto Maldonado is so close to the Bolivian border, you can also visit the edges of the Bolivian Madidi National Park via the Heath River on a tour from the Heath River Lodge. 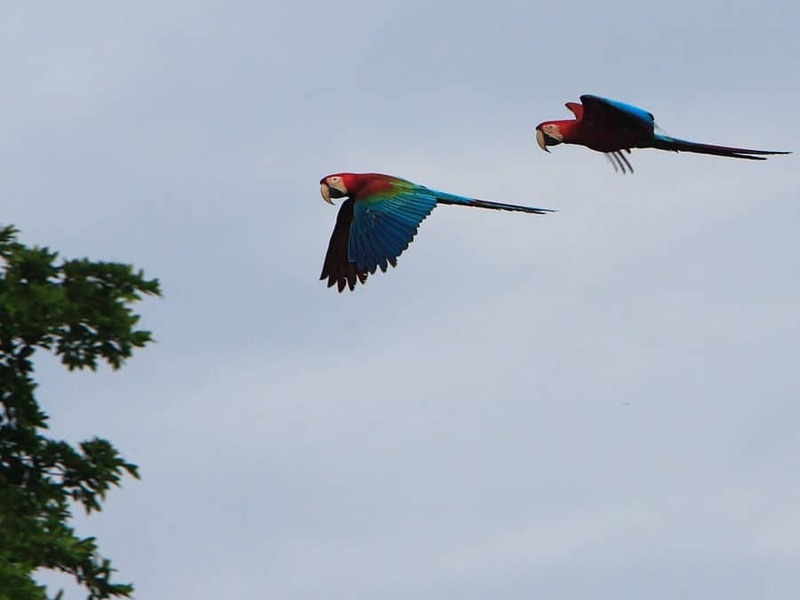 Puerto Maldonado’s closest protected area, the Tambopata National Reserve contains 274,690 hectares of tropical forest and savannah protecting an incredible diversity of Amazon animals and plants. The protected area is home to the Big Three animals to see in South America, the Giant Otters, Jaguar, Tapir, and also many endemic species. The main indigenous group living in the Tambopata are the Ese-Eja who have lived in the area for at least 11, 000 years. 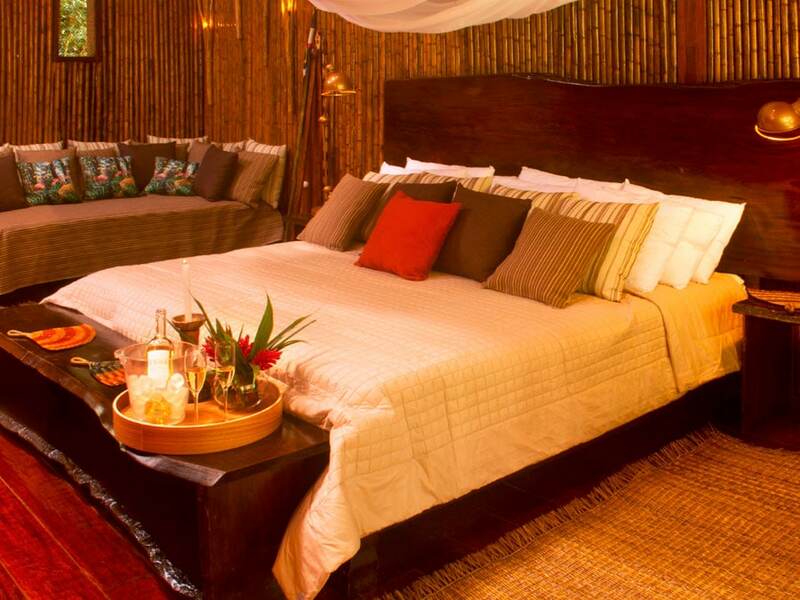 The Tambopata National Reserve contains the largest clay lick in the entire forest, which you can visit from some of the top lodges in Tambopata. 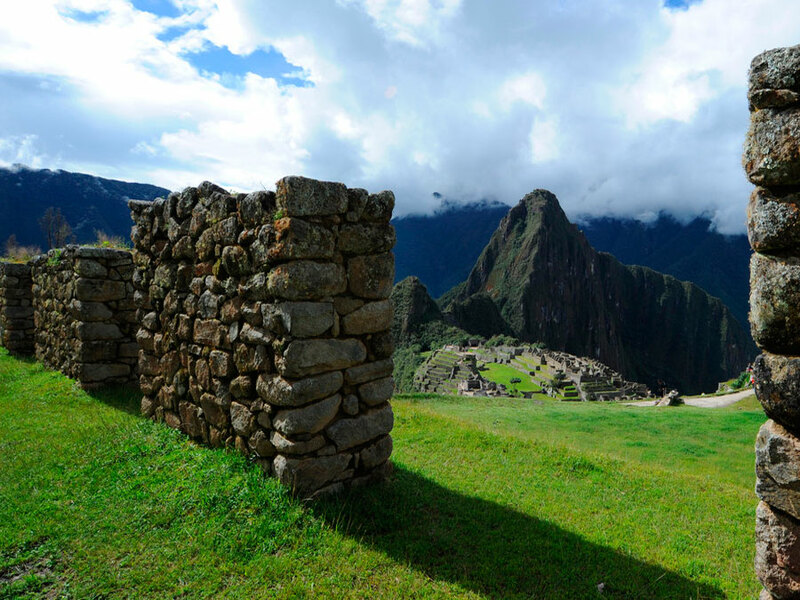 The largest and reportedly most pristine national park in Peru, the Manu National Park is a UNESCO World Heritage listed area. 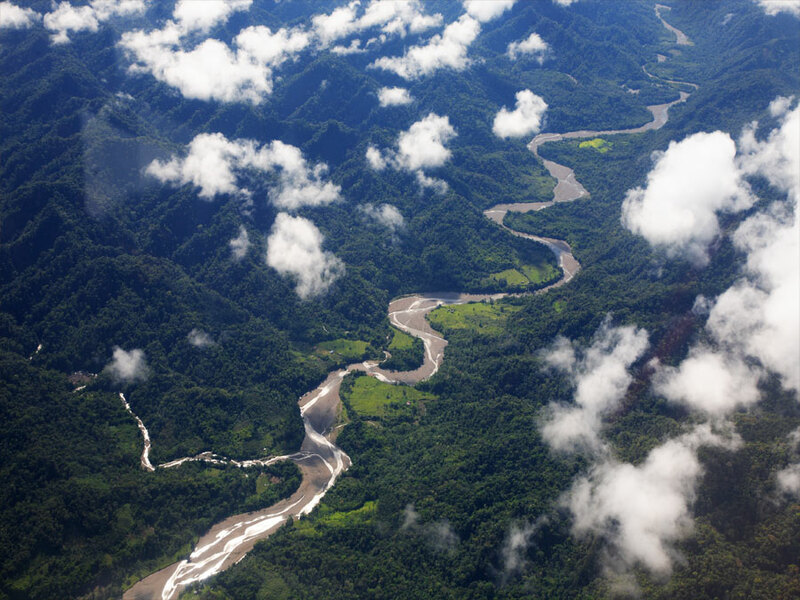 The Manu National Park contains both lowland Amazon Rainforest and cloud forest. In the Manu lowlands, you can enjoy beautiful oxbow lakes and clay licks where hundreds of macaws and tapir come to eat the medicinal clay. 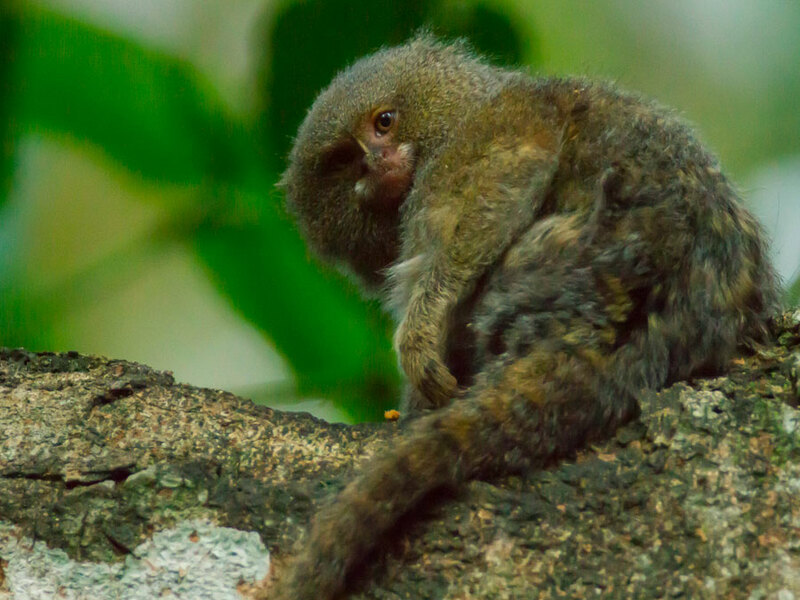 Manu contains a similar wildlife assortment as the Tambopata National Reserve, as jaguar, giant otters, tapir, macaws and many different monkeys call this national park home. There are some great tours for Manu National Park to see some incredible wildlife. 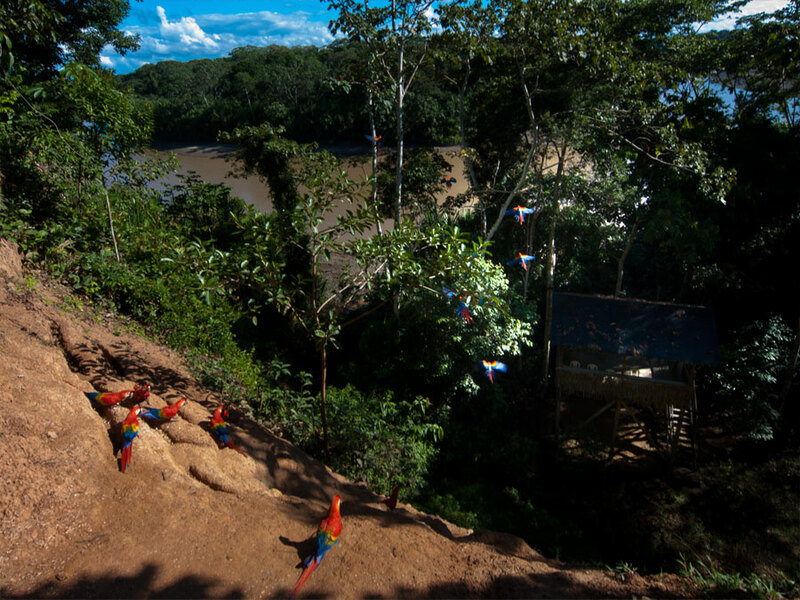 Madidi is the jewel in the crown of the Bolivian Amazon Rainforest and is the country’s most important protected area. Because the park is along the Peruvian border, you can visit Madidi National Park from Puerto Maldonado via the Heath River. 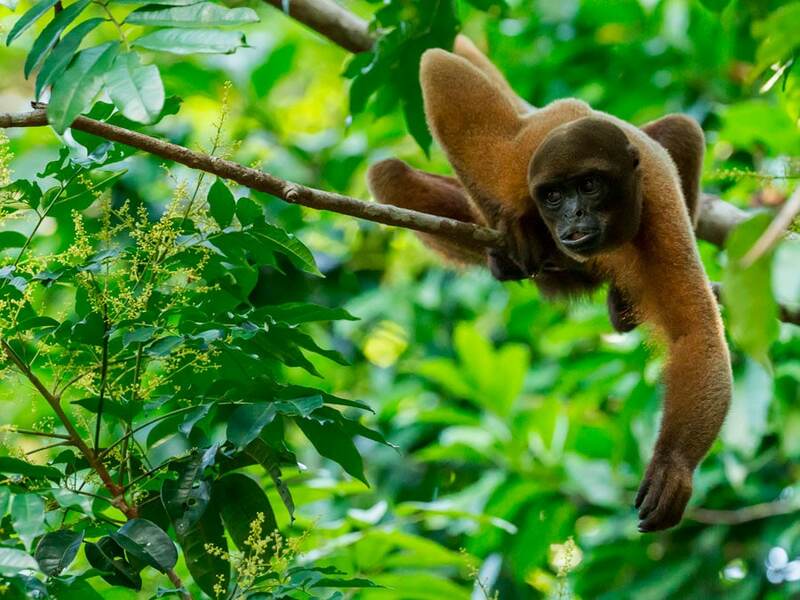 Around 80% of Madidi is tropical forest and protects thousands of Amazon Rainforest plant and animal species, including Jaguar, Harpy Eagle, Giant Otters and Tapir. With an environmentally conscious construction, the Manu Wildlife Center is built from ecologically friendly cedar-driftwood, which was salvaged from the annual floods that wash uprooted trees downriver. 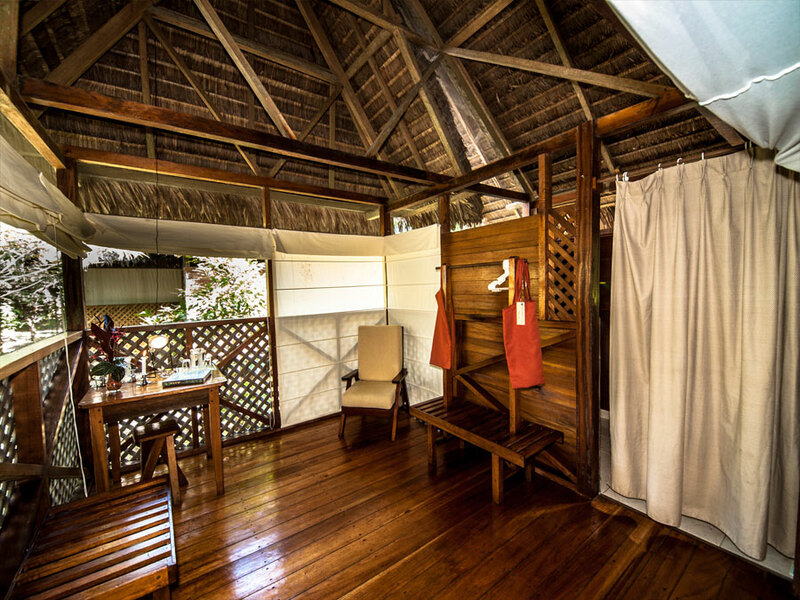 The lodge is made up of spacious private bungalows with en-suite facilities and tiled, hot water showers. 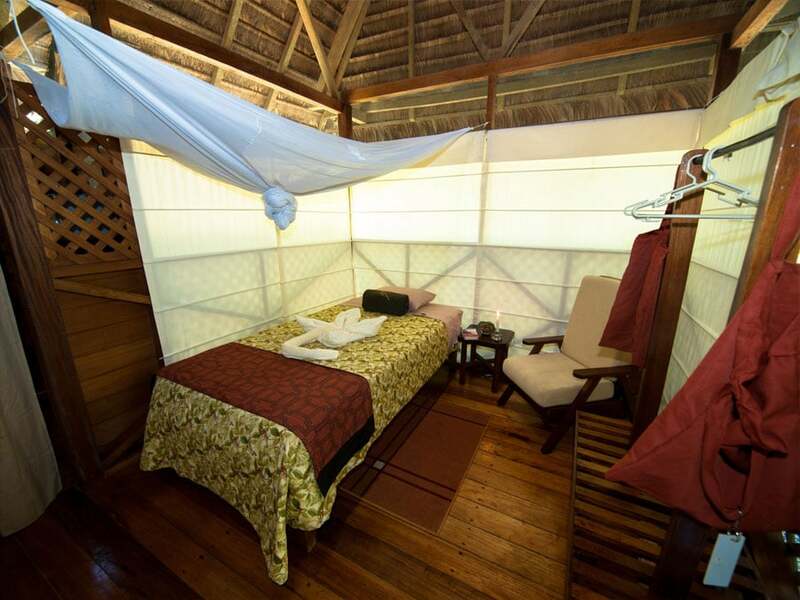 The Manu Wildlife Center provides a place to charge your camera batteries, check your e-mail, and have a drink under the high thatched-roof of the all-wooden dining area, lounge and bar. 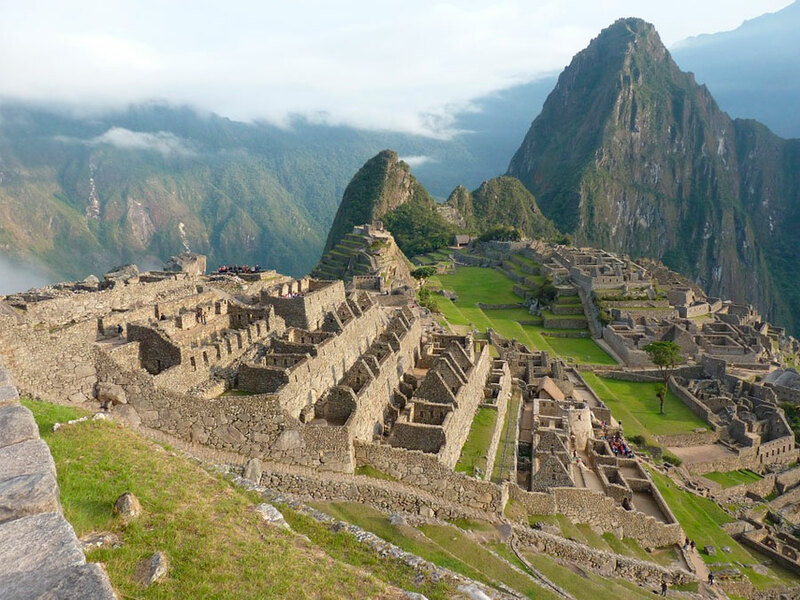 You can get to the Manu Wildlife Center from Cusco or Lima by taking a commercial flight to Puerto Maldonado (not included). From Puerto Maldonado, we will take you on a short overland journey then navigate the Madre de Dios River by motorized canoe to reach the Manu Wildlife Center. 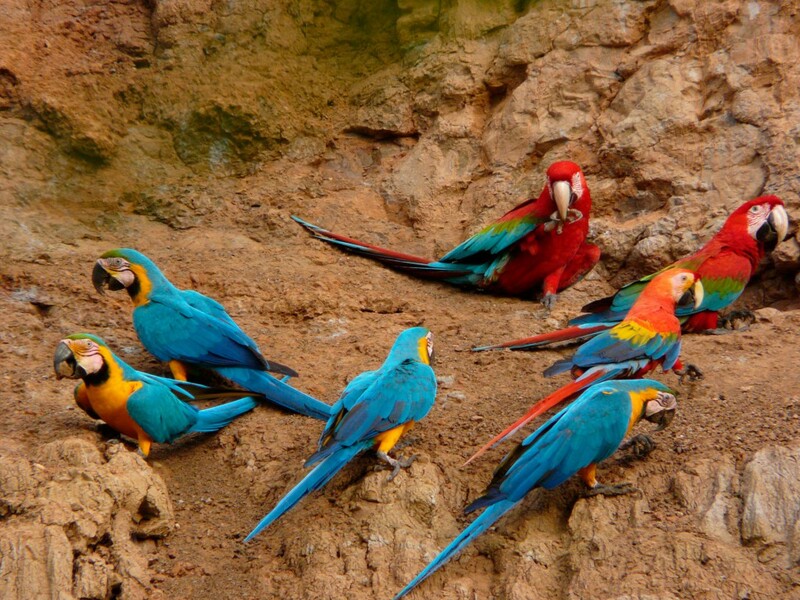 The Manu Wildlife Center offers one of the Amazon’s finest short, in-depth wildlife safaris. The world's largest tapir lick. The most photogenic and accessible large macaw and parrot lick. Miles of monkey-rich trails through mature rain forest. Two 120-foot-tall (35-m) canopy platforms. Two mature lakes with abundant Hoatzins, caimans and Giant Otters. For those interested in a deeper experience in Manu jungle lowland we can offer longer programs of 6 days, 7 days or more. Contact us for prices and details. Regular Departure - April through October - Set days | Private departure available all year. Regular Departure Prices in US Dollars. 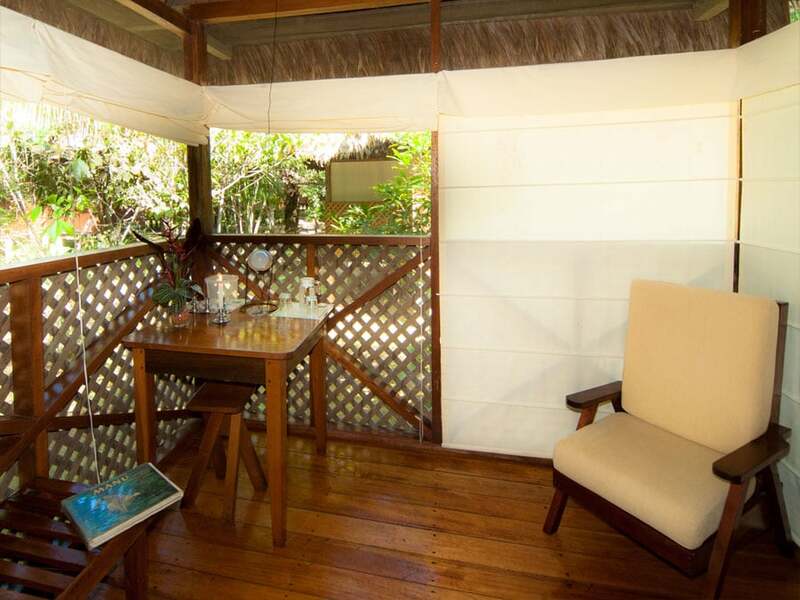 Prices per person in double accommodation with private bathroom. The clay lick is most active from August to October and less so during the months of May and June.